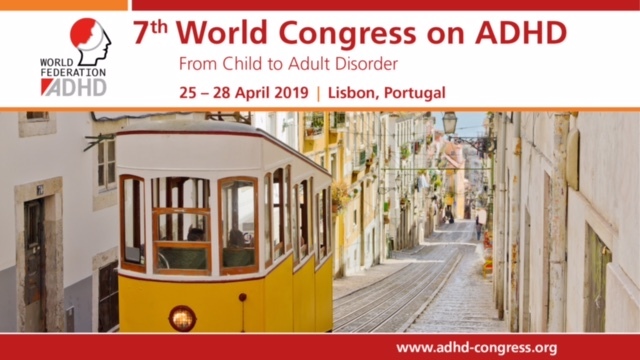 A 20 year old male patient is described, who was diagnosed with ADHD at the age of 12 years with leading symptoms of inattention and impulsivity. Medication with long acting methylphenidate and D-amphetamine had no sufficient effect, and with nearly 16 years the patient was admitted to a child psychiatric hospital. Here, additional traits of autistic and schizoid spectrum were diagnosed. At last, he was treated with D-amphetamine, aripiprazole and trazodone, but his problems in school and social environment persisted. With age of 17 he came into my office. After replacing D-amphetamine with lisdexamfetamine, symptoms improved clearly, but the effect was not yet sufficient. So, additionally guanfacine was given. Under this medication his condition further was ameliorated, so that the patient was able to finish high school with a good exam, now beginning a professional education and looking for a fair minded relationship with a girlfriend. David has a long history of abnormal behavior, starting in Kindergarten. He did not play with the other children, he didn´t want to paint and to do handicrafts. Every morning he was late, because he needed a long discussion with his mother to accept, that it was necessary to go to Kindergarten. In primary school he was not able to understand general comments to all children. He wanted to be addressed as a single person; only then he was able to follow the advice. In primary school he found two friends; his mother was in connection with the mothers of these boys. All children in his age wanted to go to the communion of the catholic church, but he argued, that he couldn´t promise to believe in god lifelong (rigidity in thinking). He finished primary school without severe learning problems. Very early he was interested in all technics shown in the world-known „Deutsches Museum“ in Munich. In secondary school, at the age of 11 years, concentration difficulties started developing in his school work. He had problems to fall asleep in the evening, in school he was tired and slept. A child psychiatrist diagnosed ADHD and prescribed long-acting methylphenidate. David was not accepted by his class mates and they started to mob him. In the first month he was not able to identify the false aspects of their laughing with him, later he understood, that they were laughing about and not with him. He felt as a outsider and developed symptoms of OCD. He had to repeat a class, and from this time he was not able to follow the lessons. He had to squirm his hands, could not speak and stayed in a condition of inactivity. He was no longer able to go to school, lost his friends and was almost alone in his room at home. He was transferred to a clinic of child and adolescent psychiatry. His mother was overprotecting and she often responded to questions asked to David. In this situation he spoke about suicidal ideation, but without planning details; he showed compulsion thoughts with aggressive ideas. Testing in clinic revealed an IQ of 123. He was depressed and without self esteem, he had no interest to participate in things a peer group was doing. As a result of third party assessment of his parents traits of autistic and schizoid spectrum were diagnosed in addition to ADHD. After a trial to go to a school nearby the clinic, David felt misunderstood and decided to go home. When intake of long-acting methylphenidate was stopped by the psychiatrists, he was very unconcentrated and the feeling of being an outsider was more intensive. He was sent to a private school, but the results were bad and for more than one year he was not able to go to school regularly. He lost his confidence in his child psychiatrist, who had sent him to the clinic. When David came to my office, his medication was D-amphetamine 5 mg, aripiprazole 10 mg and trazodone 25 mg since half a year. In the first four months the dose of aripiprazole was raised to 15 mg and instead of D-amphetamine he received 30 mg lisdexamfetamine. Now, David was able to speak to his teachers, to describe his situation in school to his doctor and to go regularly to school. He could talk about reality; he suffered from loosing the two former friends in primary shool. He realized that they had totally other interests. He didn´t want to go with them to parties – too lout, too much alcohol. When a girl friend was cheating on him, he was very frustrated and lost his growing self esteem for a while. A lot of thoughts were related to love, but there was no possibility for him to have a girl friend. After half a year of treatment we raised medication with lisdexamfetamine to 50 mg. David discovered, that he had suffered a lot of feelings of loss and that this situation was more intensive after treatment in the clinic. It should be mentioned, that as baby and in early childhood the mother had an intense job as art director and that the grand parents were caring for him at this time. Some of his compulsive thoughts resulted from his inability to deal with his failures. Before taking lisdexamfetamine, every time, when he realized, that he was not able to tolerarate a situation, he had the feeling of being overwhelmed by breakdowns; but after change of medication this did not happen anymore. He was more activated, had the power to decide on tasks and worked more concentrated. The combination of aripiprazole and lisdexamfetamine helped him to diminish his weight, because appetite decreased. Two months later we started with additional intake of guanfacine 1 mg and after 4 weeks for the first time he was no longer depressed; he felt free to go to school and was happy to ease the new situation with the perspective to finish school and then to go to a special education on composing video games. Despite some absences caused by physical diseases, he felt much better when going to school in the following year, planning effective work and staying longer with tasks. He told me, that this was the first time since 6 years he could go to school with a fine feeling. His self esteem was raising more and more and he knew that he was able to learn and to finish school successfully. He had some days without medication, because he couldn´t find his pills or realized too late, that there are none; in this situation, he felt the need of medication every time, because compulsive symptoms were getting more intense. He got yellow glasses, which helped him not to be irritated by light. In his opinion, this was a great change, comparable to the effect of guanfacine. In the last 2 months, when expecting his exams, he felt like he was in front of a judge sending him to a guillotine. However, now he was willing to do the exams. One year before he was not able to overwhelm the frustrations resulting from his deficits; as mentioned above, in his early school career he was a good pupil without intensive learning. He finished exams with a good result. At the same time he remembered the mobbing in secondary school; since this time he buildt up big emotional walls surrounding him, even in the relationship to his parents. After being succesful in finishing high school, he wants to find a girlfriend having a relationship with fair mindedness. This fact is so important for him, because during the time staying in clinic he felt not being respected and misunderstood by his therapist; she had said to him: „I know, you are not thinking this.“ And the doctor told him, when he was leaving the clinic: „You will stay sad and without success in your life, when you leave the clinic now.“ At the last visit he realizes, that those words are no more valid!